Let's connect your SUN monitor to a PC/AT machine!! Because there are SUN monitors out of use, I connected a Sun monitor to a PC/AT machine. 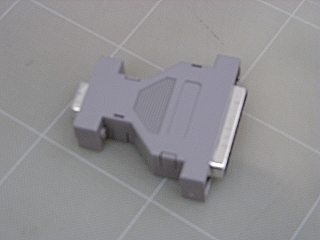 This photograph is the adapter made by me. use connector-shell, and it's cool! 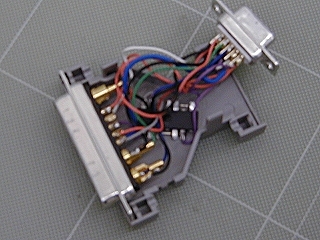 Connector of SUN monitor is type 13W3. The blue block is following. and I provide two methods, you can select the method. 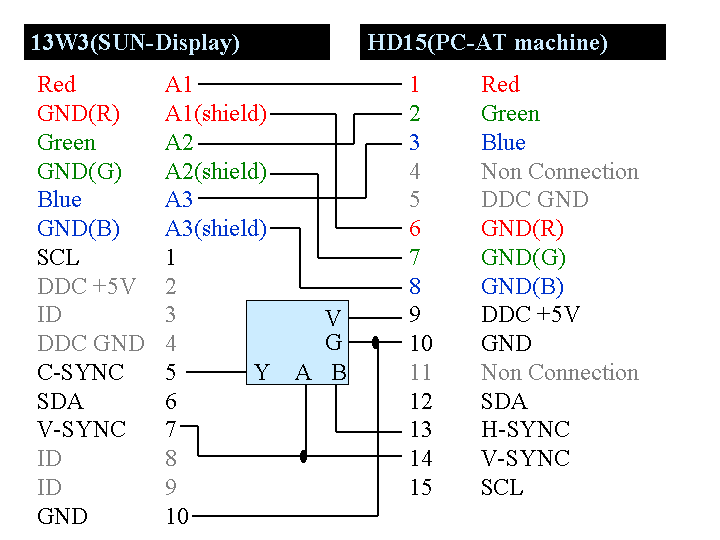 If your video-card supports DCC+5V (9 pin), you should choose case 1. Otherwise and If you want to make easily, you should choose case 2. 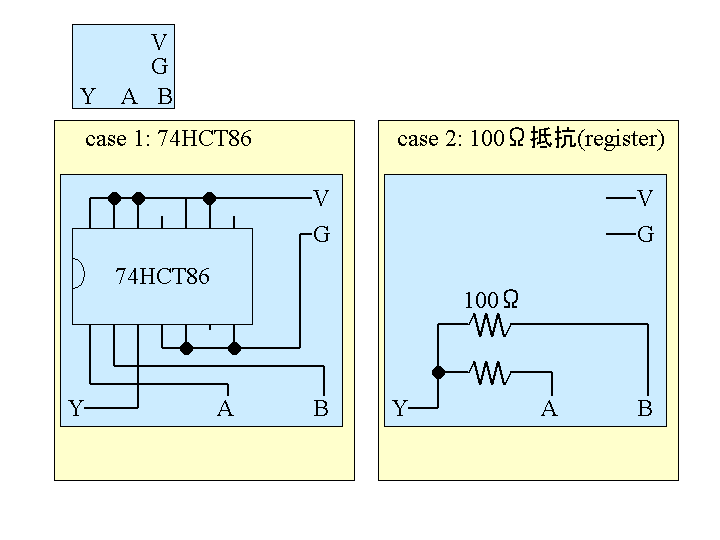 74HCT86 is four 2 inputs-XOR CMOS gates that working in TTL-level. I replied "If video-driver don't permit setting of DirectX, it's diffilcult." Several days after, Mr Honda mailed me "it Worked!!" 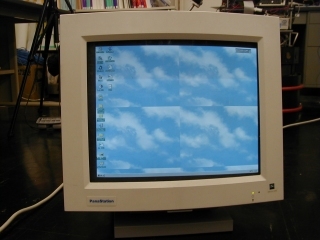 Thus,this monitor can't display in booting Windows. If your monitor work, There is no need to use the "Driver" you asked. In Windows, We can adjust the setting of VGA-cards with GUI. But In XFree86, it's difficult. He uses the monitor with XFree86 4.0.2.